OUR COMPREHENSIVE TOOL HOLDING PORTFOLIO EQUIPS CUSTOMERS WITH THE RIGHT TOOL HOLDING SOLUTION FOR ALL SPECIFIC REQUIREMENTS. We offer modular, shrink-fit, collet and hydraulic systems connecting to spindle interfaces such as BT, HSK and DIN standards. Whatever your requirement we can supply you with the most competitive tool holding solutions available on the market. As UK distributors for HAIMER, Fenn offers customers a wide range of precision manufactured tool holding options to meet all specific requirements. The HAIMER range of spindle tooling and associated equipment is widely regarded as one of the leading ranges available today. 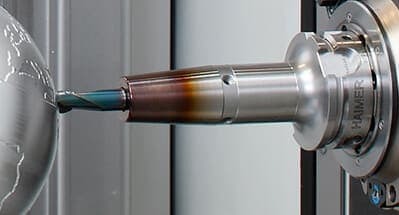 Precision manufactured in Germany to the highest specification, HAIMER products have become first choice for tool holding in many leading Automotive, Aerospace and Energy manufacturing facilities throughout the world. As well as the more common ER Collet, Weldon and Shell Mill holders, HAIMER are renowned for their market leading heat-shrink technology. 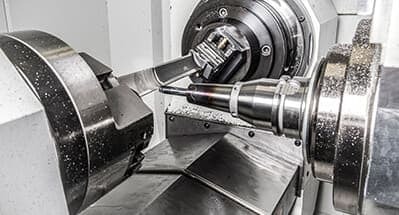 This tool holding method is fast becoming the ‘must have’ option for precision manufacturers with many benefits far outweighing the older and more cumbersome hydraulic tool holding technology. HAIMER’s Power Shrink Chuck achieves the highest machining capacity in high-speed manufacturing. The optimised design combines high rigidity with dampening vibrations, therefore giving more protection to machines, spindles and tools. Cool Jet bores come as standard with the Power Shrink range, which is available for all standard spindle interfaces. Applications for shrinking technology is extended to roughing, still with a runout accuracy of 0,003 mm and vibration resistance due to Power Chucks optimised outer geometries. 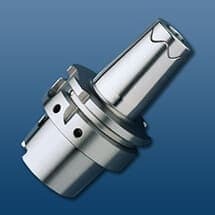 Also available is the Mini Power Shrink Chuck, which is perfect for 5-axis machining in the medical and mould & die industry, and the Power Collet Chuck that can also be used with standard collets.